Erin Ollis has many talents: She is the cool, calm, highly organized Administrative Coordinator in our Department AND she has a thriving singer/songwriter career. 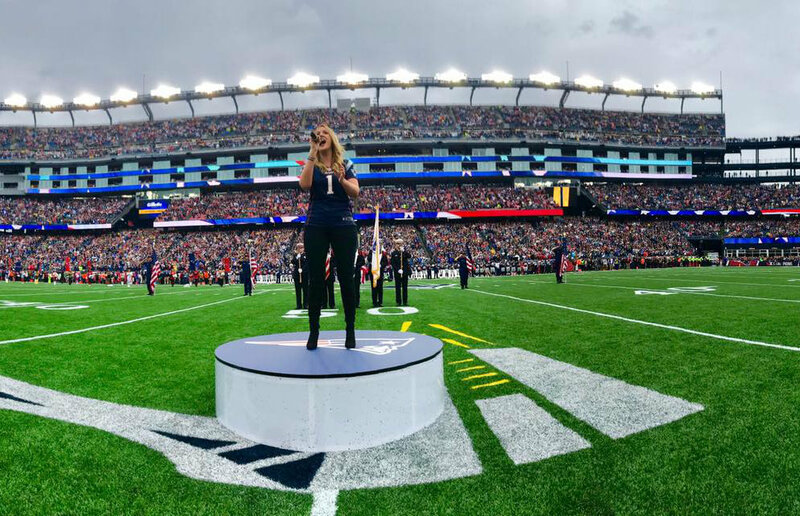 Erin has received a number of awards over the past eight years, including winning Best Female Artist of the Year at the New England Country Music Awards and Best Future Female Artist at the North American Country Music Awards. She currently performs with the country/rock band, Thirty 6 Red. As Erin performs live with her band in loud, noisy environments, hearing protection is of great concern. 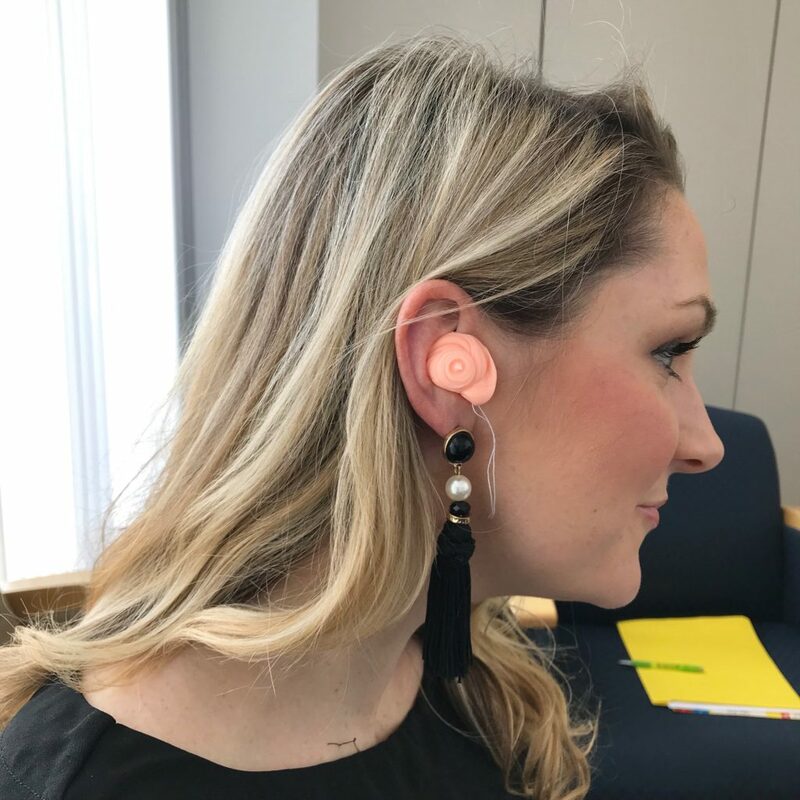 At the Northeastern University Speech Language and Hearing Center, Gayle Flood, CCC-A, a licensed Audiologist was happy to fit Erin with custom musician ear protection(MEP). First Gayle checked Erin’s hearing acuity in the sound proof booth and then fitted her for earplugs. 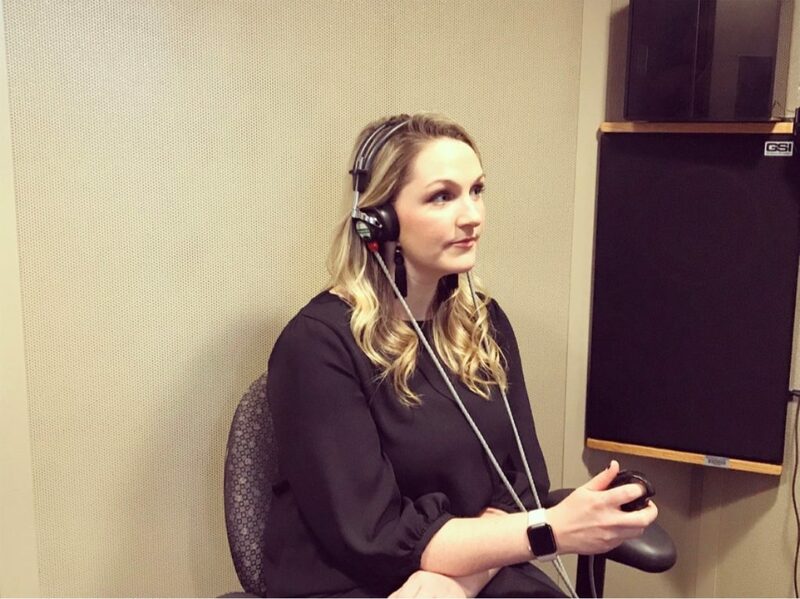 Erin in the sound proof booth having her hearing checked. Custom Musician Ear Protection(MEP) are recommended for musicians because they are comfortable, easy to insert correctly, and filter sound better than over the counter disposable ear plugs. Instead of cutting out the high frequencies and sounding muffled like traditional plugs, musician’s plugs attenuate evenly across all the allowing you to hear a wider range of sounds while still protecting yourself from dangerous levels. They are custom made from an impression of the ear canal taken by an audiologist. 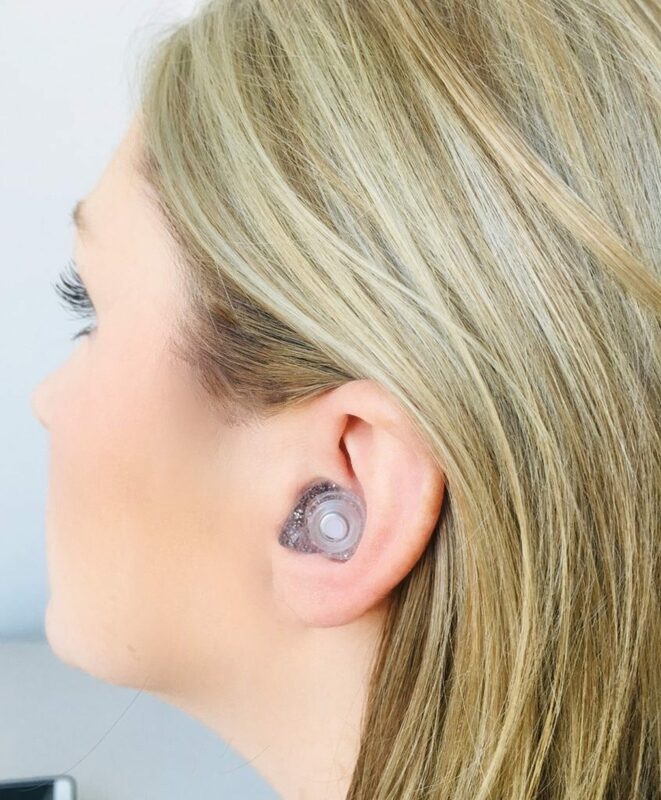 Once the earplugs are fitted, Erin will be able to hear the music and her voice while being protected from extremely loud amplification systems and audiences.